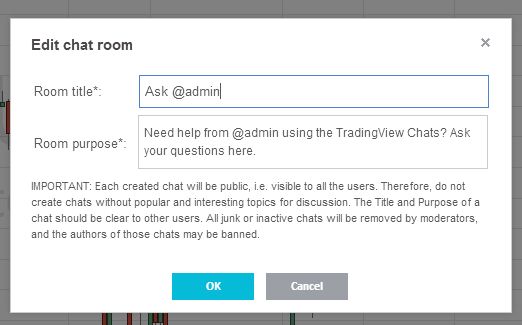 we are adding more ways for TradingView users to talk to each other. Recently we rolled out Private one-to-one chats, and now you can start public chatrooms with a topic of your choice! Name and Description are required to start a public chatroom. Popular chatrooms will automatically float to the top of the list. Sound can be disabled in the room settings menu as before, but visual notifications are configured for every chat by clicking a Bell icon in the top right corner. Add rooms to your Favorites list to keep them around. Click the Star icon to add a chatroom to favorites. 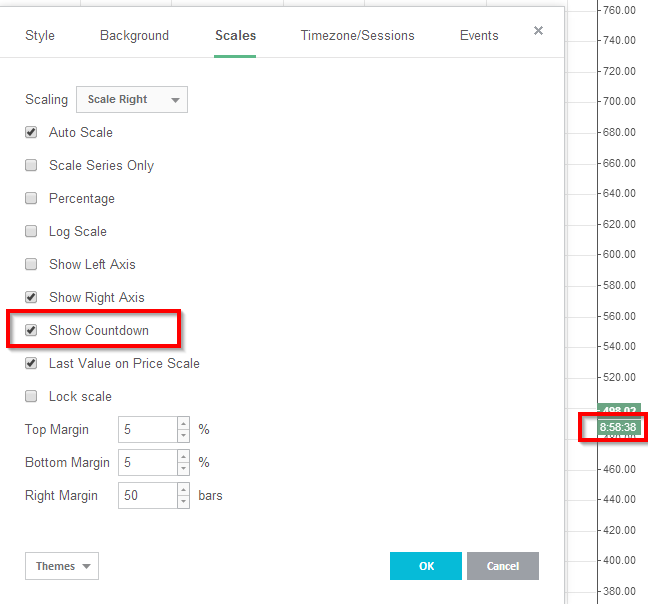 Countdown box on the scale shows how much time is left until the current bar is closed.You can turn this feature on/off by opening the Scaling menu through a right-click on the scale and checking the “Countdown” checkbox.